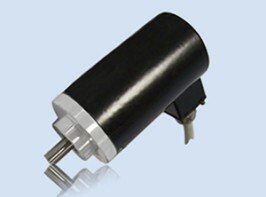 Any absolute encoder is primarily intended to be used as a positional feedback device. Depending upon this information, machines can be calibrated to very specific states. 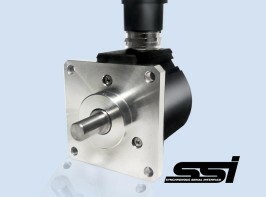 The TKM100 absolute multi-turn solid encoder weighs just over 1.5 kilogrammes and as the shaft is fashioned from stainless steel, the unit is highly resistant to common levels of wear and tear. 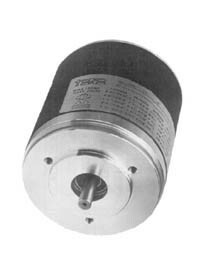 Please note that this multi-turn encoder is intended to be used during situations that require a measurement over more than a single revolution. This can be critical when addressing linear motors. 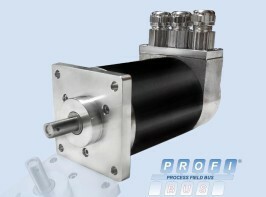 Electromechanical actuators are a perfect example here. 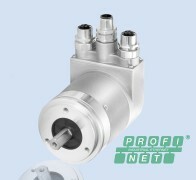 Specifications of the TKM100 Absolute Multiturn Solid Encoder The flange of this encoder is comprised of non-corrosive aluminium and the housing is painted aluminium that is able to accommodate temperatures of up to 180ºC. 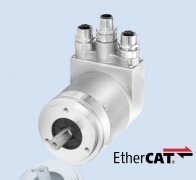 The unit can operate in temperatures ranging from -10ºC to 70ºC while it may be stored in readings as high as 80ºC. The average warm-up time is approximately 10 seconds and up to 6,000 rotations per minute are provided during continuous operation. The output frequency ranges from 0 to 20 kHz. Please contact us for more exacting specifications or if there are any questions in regards to its applications. 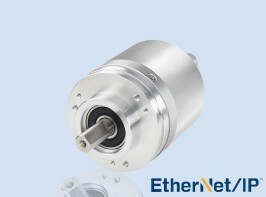 Optical absolute multiturn encoder, solid shaft, with EtherNet/IP output interface.